Storecoin is a zero-fee, p2p cloud computing platform. We\’re enabling data to be tokenized, open, and tradable. We\’re enabling data to be programmable money (datacoins). The public blockchain will be coordinated by a governance of checks and balances. The Storecoin project is laser-focused first on securing its zero-fee settlement layer. 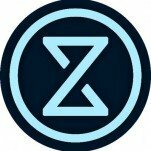 Our team is researching and building this scalable and decentralized zero-fee payments infrastructure now. As security with scalability is proven, Storecoin will open up miner (dWorker) participation to anyone in the world. From there, the secure settlement layer can evolve into a p2p cloud platform for the decentralization of data and the creation of new, zero-fee tokenized apps (tApps). When third parties like Google want to crawl, query, and access the data, they’ll pay the token representing the data (a datacoin) back to the miners securing and storing it. Also, to the developers who acquire, structure, and label the data so that it’s valuable to third parties – especially machine learning and AI-driven organizations. App developers can then optionally (and finally) pay users for their own data. Tokenized and open data can limit the control data monopolies have on future innovation while ushering in a new era of computing. It’s how information can finally be set free. To usher in this new era of p2p computing through tokenized data, in its Industrial Phase, Storecoin's zero-fee settlement layer transforms into a zero-fee, p2p cloud computing platform that allows valuable web and mobile applications to decentralize their data on top of the Storecoin public blockchain. In exchange for decentralizing their app data, developers gain the right to mint their own cryptographic tokens, called datacoins, where the tokens are representations of the application data that has been decentralized. We call this zero-fee, p2p cloud computing because developers, if approved through governance by the dWorkers, will not have any direct capital cost to run infrastructure to host their apps. If dWorkers collectively agree to accept their datacoins as a currency in exchange for zero-fee compute, the datacoins would have a monetary premium and the developers would not have to pay AWS or other cloudproviders for compute and storage. Instead, Storecoin dWorkers offer that service making dWorkers collectively a new type of decentralized AWS. When third parties like Google want to crawl, query, or access data, they must pay the inflationary datacoin back to the developer thus giving the data another monetary premium. If receiving zero-fee cloud computing resources, developers will share 30% of datacoin revenue with dWorkers. Developers can then optionally share datacoin revenue with users. Developers will facilitate the marketplace for their data but dWorkers can negotiate bulk network-wide deals with larger buyers. The Storecoin tokenized and open data economy will be facilitated through smart contracts.